When it was time to get out of Addis Ababa, I visited the far north of Ethiopia, actually only 30 miles south of Eritrean border. 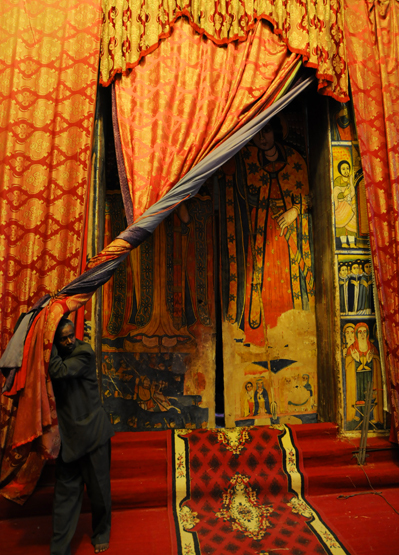 Here rests the ancient city of Axum. 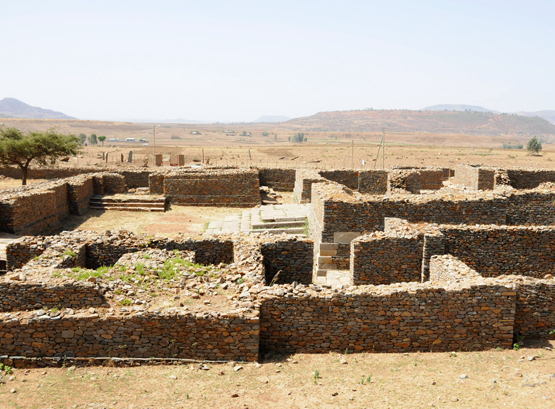 These ruins were once the capital of the large Axum empire that spanned as far east as Arabia and as far north as Sudan. 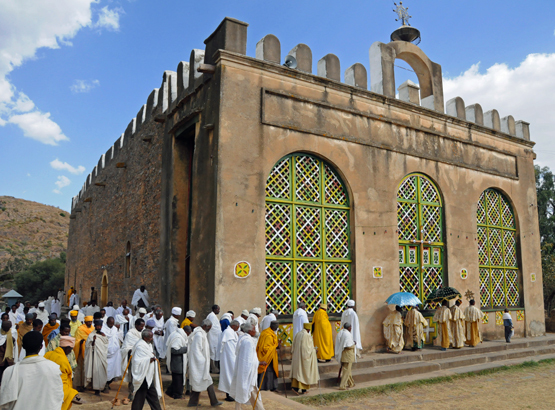 In modern times Axum has become a small town on Ethiopia’s map in regards to population, but it still remains the country’s holiest city. As a matter of fact, Axum has such strong Christian roots that non-Christian religions are forbidden from building any place of worship within 30 km of the city. 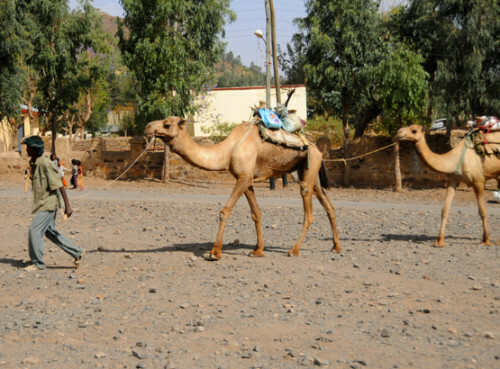 These two random photos above were my first views of Axum as I entered the city by bus. 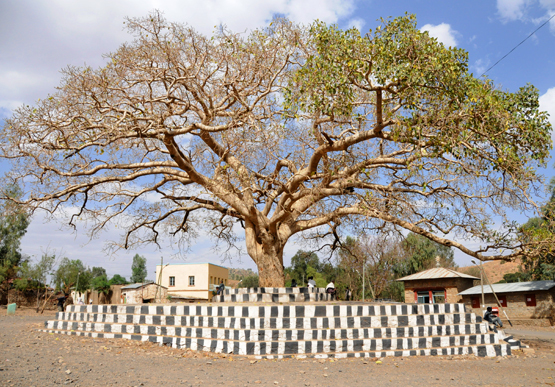 The enormous tree has some special meaning but I wasn’t able to find out any details. On the right is a man leading a small pack of camels, below are two wildlife shots I saw in the area. 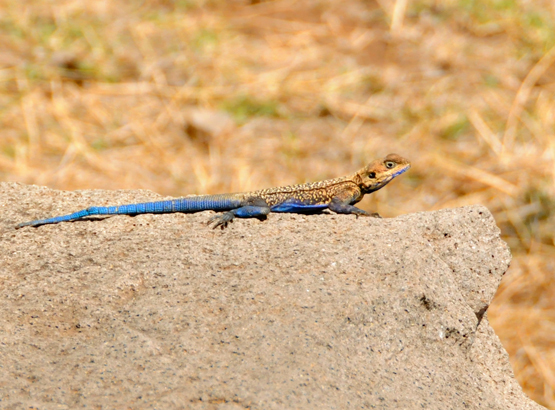 I’ve seen plenty of lizards in Ethiopia, but the blue tail got my attention, and I also wasn’t expecting to see a squirrel here in Africa! Axum became an important city around 1000 BCE, when Queen Sheba ruled the area. According to the bible, Queen Sheba traveled to Israel and met King Solomon. 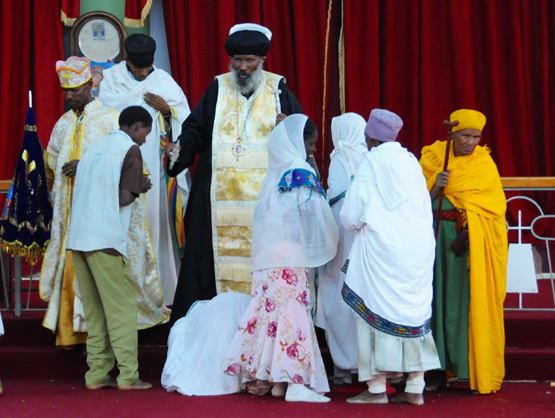 There they conceived a child who would later grow up to become King Menelik, King of the Axumite kingdom. Before he was actually a king at the age of 17, Menelik traveled to Israel to meet his father King Solomon. His father asked him to become the next King of Israel, and was disappointed when his son declined and instead returned to Ethiopia and ruled the Axum empire. The photos above show the remains of Queen Sheba’s palace. 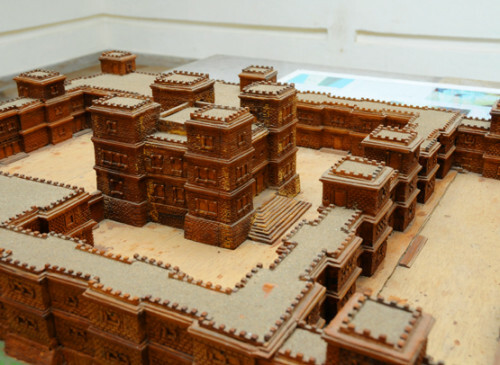 With most of Queen Sheba’s palace upper sections destroyed by time, the easiest way to understand what the palace looked like is by this center photo that shows a replica. A small museum nearby had the replica on display and other historical information about the region. Immediately across the street from Sheba’s palace are the ruins of an ancient cemetery. Supposedly underneath one of these large fallen obelisks is the Queen’s tomb. 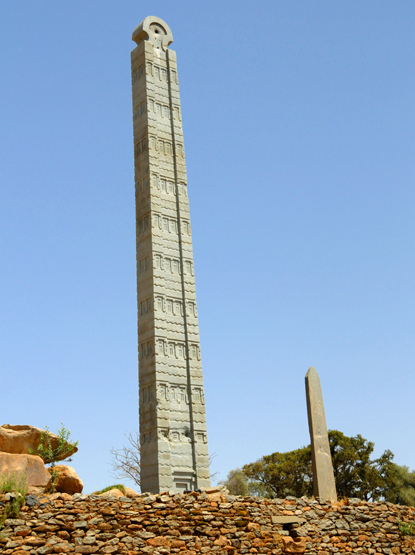 The ancient Axumite kingdom that followed built more impressive structures, most notably these giant obelisks in Axum. The 70 foot (21 meters) obelisk on the left is known as King Ezana’s Stela. 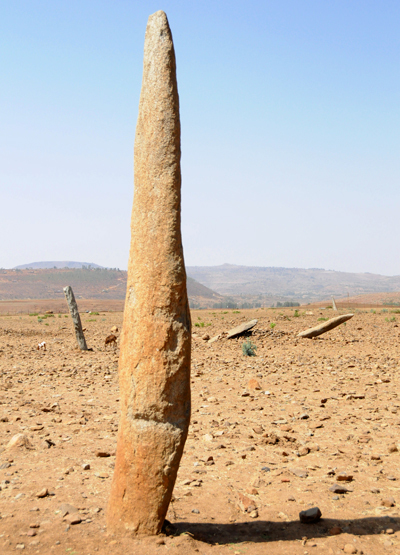 In the 1,700 years since their erection, several of them have fallen such as the Great Stele above. 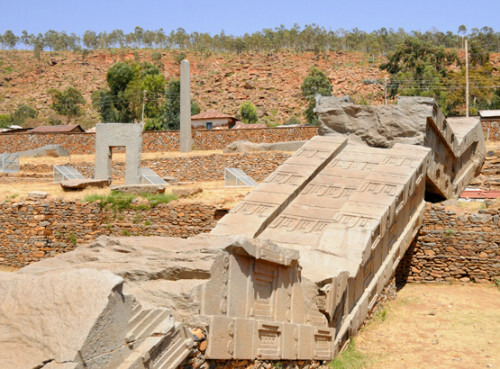 Ezana’s Stele remains both the most impressive and the best preserved. The obelisks were made to mark the burial chambers of the royal family, and were essentially giant tombstones. 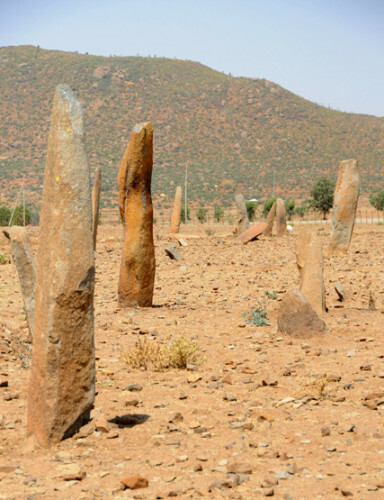 I had read about the obelisks before online and even seen them on TV once, but I never realized how large the burial chambers directly underneath them were. These photos showing the underground chambers above were discovered only a few decades ago by archaeologists. 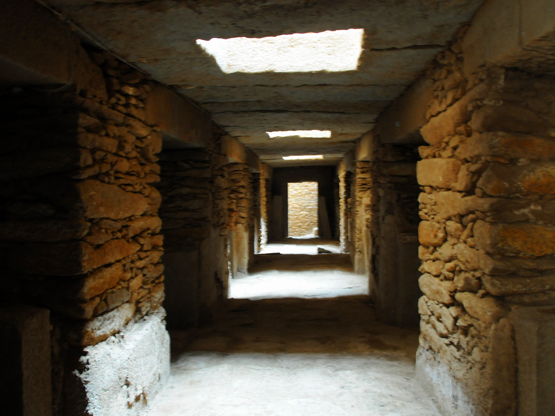 Here they found the remains of previous kings, along with coins, gold, and other treasures that were left along with the dead, similar to what the Egyptians did with their pharaohs. 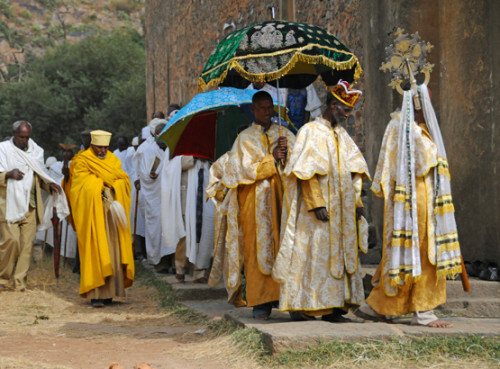 King Ezana was recognized as the first Christian monarch of Axum, this marked the start of Christianity for the city, and all Kings that followed maintained their faith. 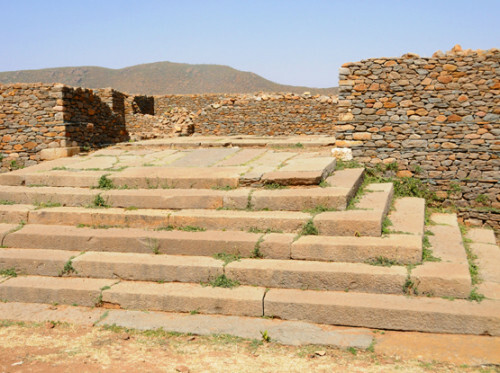 The best known King of Axum named Kaleb ruled in the 6th century, 200 years after King Ezana. 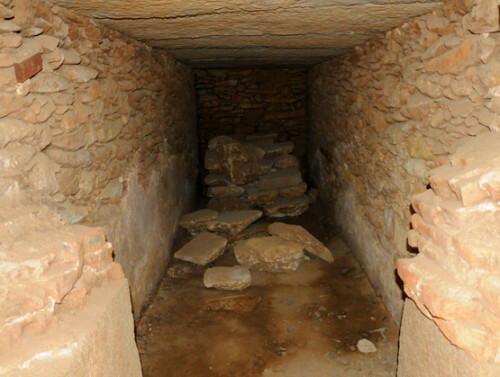 Above is King Kaleb’s burial chamber that is reached by taking some dark stone steps deep underground. 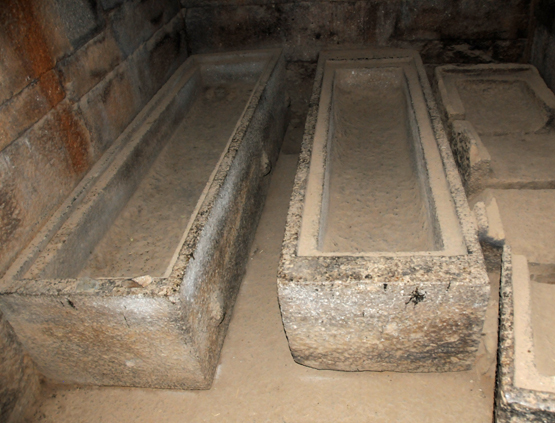 He was believed to be buried in the far left sarcophagus along with his wife. 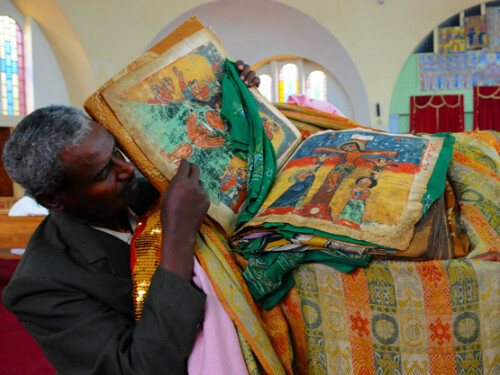 Ethiopia has three major versions of Christian crosses throughout its history, notice the cross above that was used in the 6th century looks more like a plus than the traditional Christian cross seen in modern times. Axum’s most religious site is a complex of churches which includes the original and the new Church of Our Lady Mary of Zion. The small church on the upper right is called The Chapel of the Tablet, and is where many believe the original Ark of the Covenant to be held. 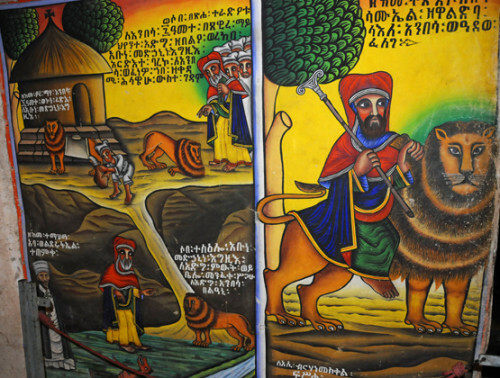 According to their history, after King Menelik had visited King Solomon in Israel, King Solomon had requested Menelik to stay and rule Israel after him. 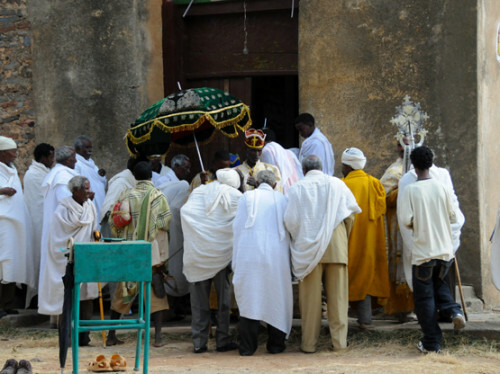 Having already promised Queen Sheba that he would return to Axum to rule, King Solomon allowed Menelik to leave Israel and sent the Ark of the Covenant with him. Today a single monk guards it for life. 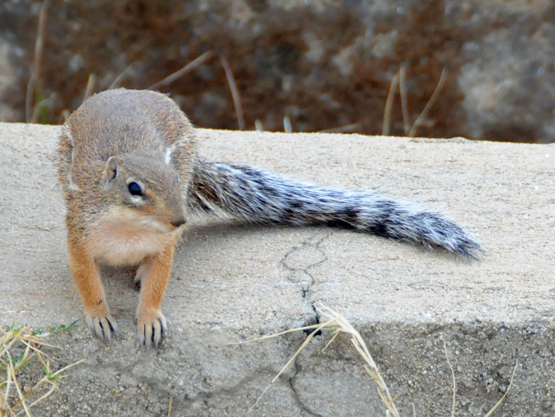 He rarely is seen outside of the Chapel of the Tablet, and even in those rare moments he never leaves the fenced area and will continue guarding like this until his death. 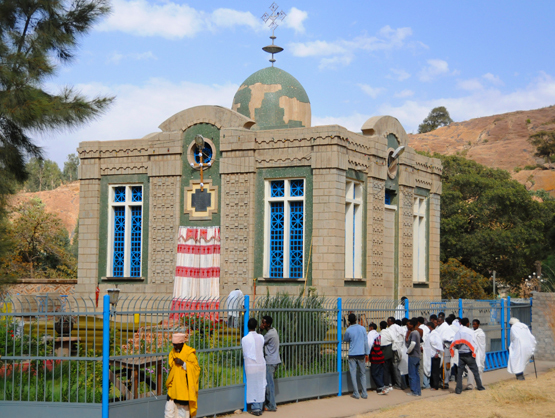 The church on the left side is the original church believed to have been built during the time of Ezana. 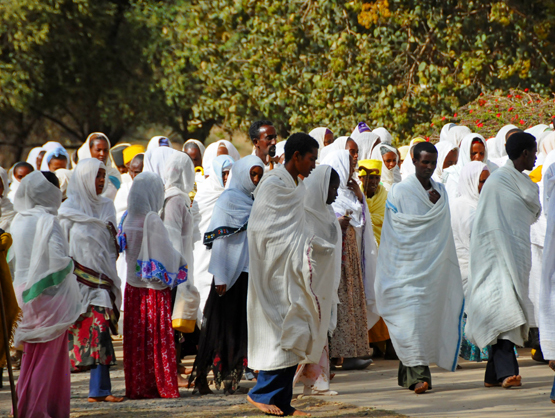 Below are some close up photos of a ceremony that was taken place when I visited. No one is allowed to enter the church with the Ark of the Covenant in it, but I was allowed to enter the original church and was shown some of the religious paintings that have somehow retained their color over the centuries. They are covered by enormous curtains when there is no service in order to protect them from the sun. Above is a story from the bible, about how a man tamed a lion who had killed one of his donkeys. Here you can see the new Church of Our Lady Mary of Zion. 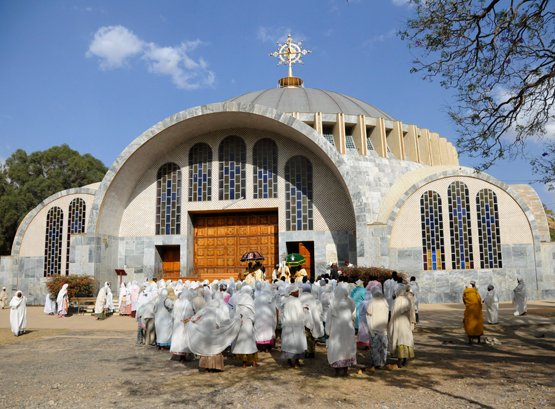 In the 1950’s, the new modern church was built by Ethiopian emperor Haile Selassie. I visited during the month of March when many religious ceremonies were taking place due to lent. 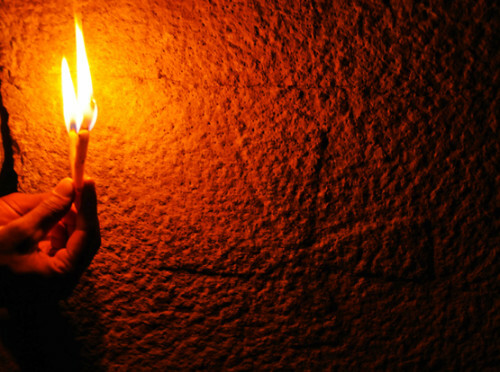 Many people spend all day at the church, and when it’s time for them to go home they hold a service and walk around the church three times and then leave until the next day. According to some members of the church, I was lucky to be visiting this time of year because the bible above is normally stored in a museum. Since they were using it during their lent service, they allowed me to look at it and see a few pages. 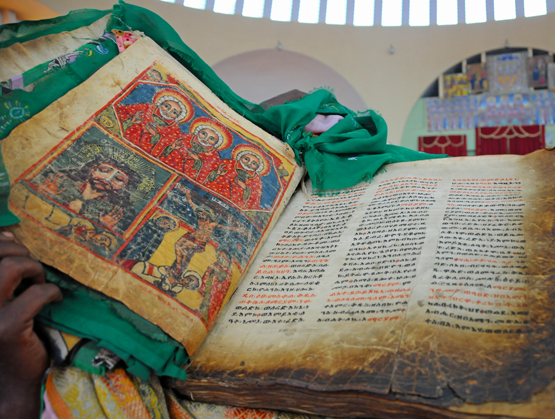 The bible is claimed to be over a thousand years old; it is definitely one of the oldest and still in use books on earth. Leaving the dry lands of Axum, I headed out to Gondar and passed by some of Ethiopia’s most beautiful scenery known as the Semien mountains. 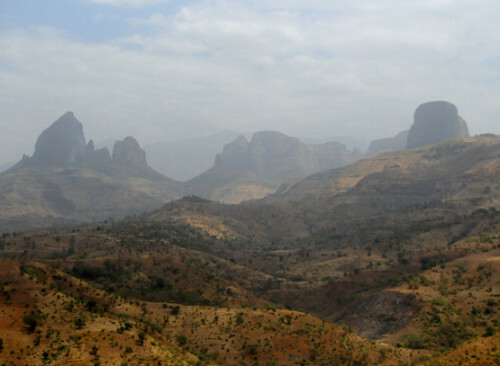 These mountains are some of the highest in Africa, with Ras Dejen being the country’s highest point at 4,533 meters or 14,872 feet. 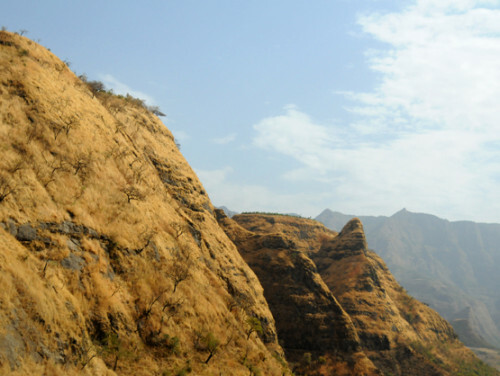 The dramatic and rugged scenery of the mountains provides a haven for wildlife, including some endemic animals such as the Ethiopian wolf and the Walia Ibex. 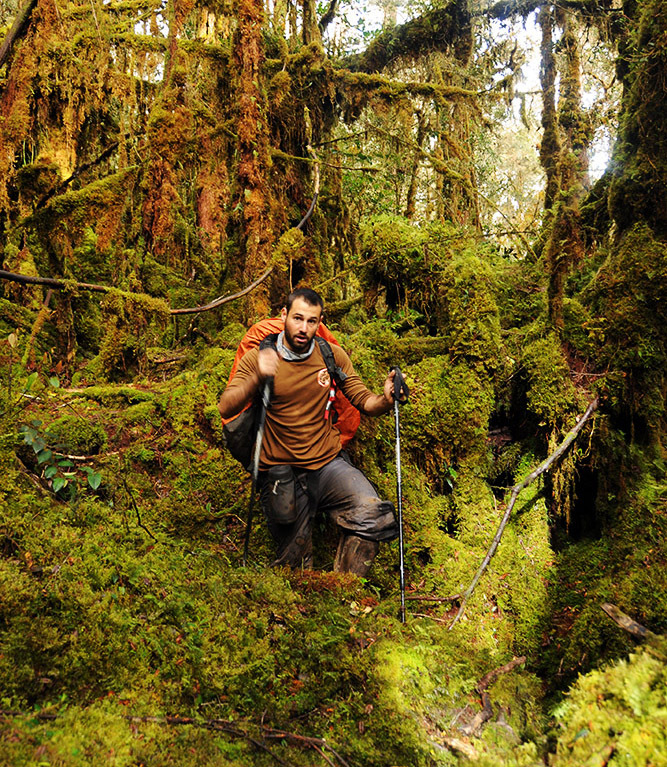 I wish I had been able to do a week long camping trip in the outdoors here or even hike to the top of Ras Dejen. Some photos of Ethiopian wildlife and their outdoors even seem to resemble parts of North American deciduous forests. 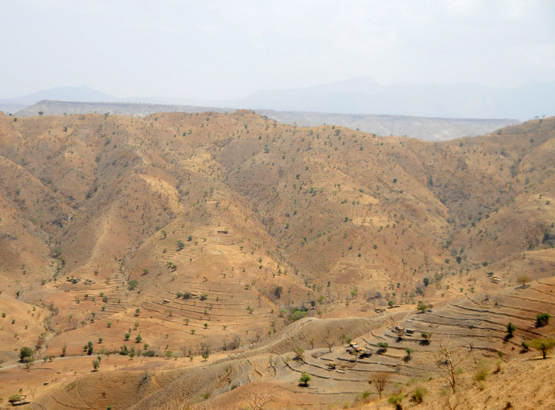 Many of Ethiopian’s mountains have been turned into farms. 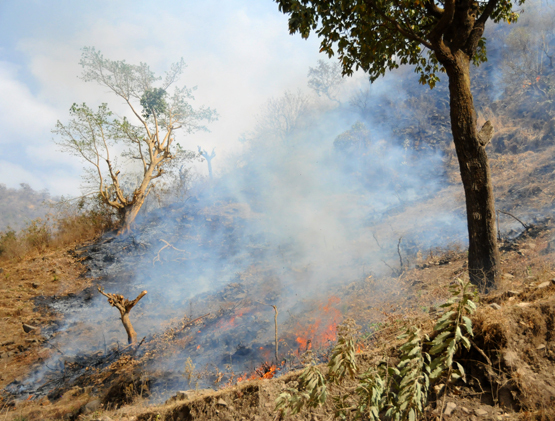 You can see the ridged lines along the mountain on the left which is where crops are being grown and a fire on the right help makes fertile soil for a new generation. 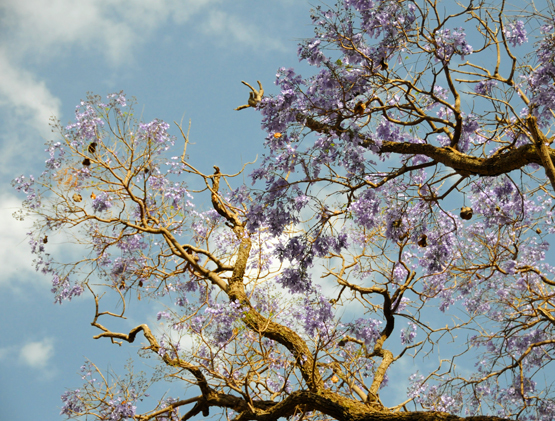 Sadly, most of Ethiopia used to be covered by dense forests but now only 3% of their woodland remains. There is an effort underway to restore many of the forests, and such a project seems very challenging so I’m not too optimistic. Hopefully it will be successful, but until then most of the country will remain bare, a similar story to Haiti. During my road trip I passed by many small towns such as these two above. 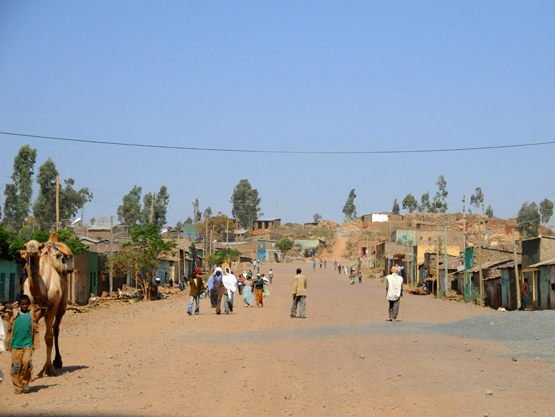 Most towns were quiet and seemed like they were going through the ordinary village life. I did get a photo of a dust tornado on the right though that had caught the attention of several little kids. 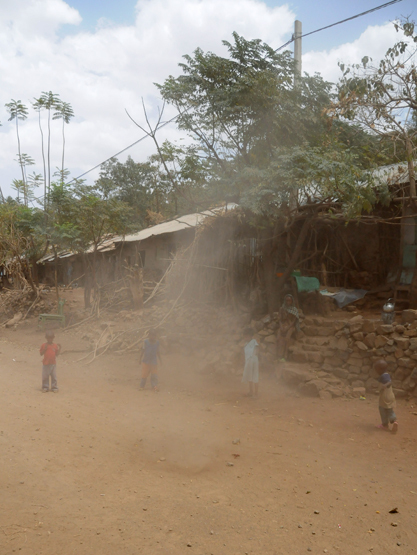 If you ever pass through small villages in Ethiopia and have empty plastic bottles, the kids here will love you for them. Often when I came to a stop somewhere kids would run up to the car and ask for any empty bottles and would run away screaming with joy if I had one to give away. 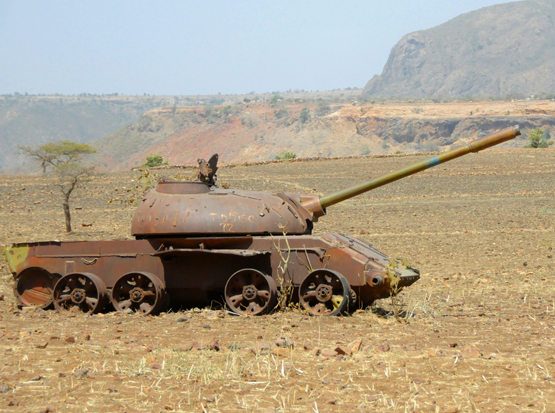 Also while driving in the north, I passed by several abandoned tanks from Ethiopia’s wars. I’m not sure the era of these tanks, but I’d assume the tank on the left was from Ethiopia’s second Ita lo-Abyssinian War which occurred in the 1930s. Italy won this battle and occupied a part of Ethiopia but never completely conquered or colonized the entire country. This war is also remembered because Italy used chemical weapons during the battles, including mustard gas and phosgene. 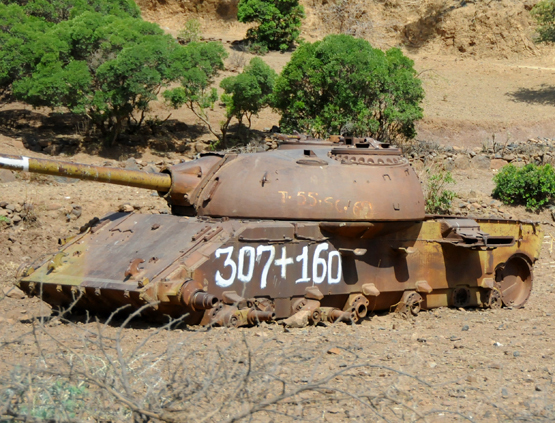 The tank on the right is more modern, perhaps from the more recent war with Eritrea.